Varisco Stone has established itself in the UK to bring the best of Italian stones and installation skills to the London and UK market. We template, supply and fit worktops as well as any other bespoke stone needs. We cut in our own London based yard with our own teams, using the latest technology to achieve any finish or look. We can take a stone slab and cut it to size and shape of your walls, floor, baths or wherever required with as few joints as possible, if any at all. We are conveniently located and project manage each job. If you are looking for a beautiful new stone or quartz worktop, stone flooring, cladding, tiles or any bespoke stone product please get in touch. With a few basic details, one of our staff members will be able to return a quote to you either immediately or within the hour. We love what we do & we love making your homes beautiful. We supply a broad range of stunning contemporary & classic interior design products to suit your lifestyle. MKW Surfaces supplies stone, solid surfaces and project-manage its installation for your kitchens, bathrooms and living spaces. We want to change the way people source and buy stone! We offer a wide range of natural stone (marble, granite and travertine), man-made stone (engineered quartz and marble) and floorings (ceramic and porcelain) and we'll soon be adding glass to the list. We supply kitchen worktops, vanity tops, wall cladding, fireplaces and any other item made out of natural or engineered stone. Our turnaround is 5 working days from template to installation. We are happy to assist with any questions and have dedicated designers that can attend to your office/house to advise and choose the best stone for a given project. Get in touch with us today! Are you searching for your dream tiles? 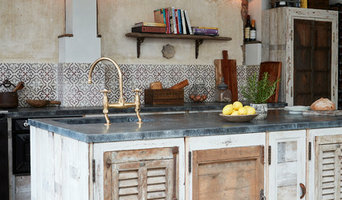 We're a family run company who travel far and wide to find the best reclaimed antique tiles. We also create the highest quality new tiles; hand poured and naturally dried in Spain. Set in the beautiful Surrey countryside, Sabre Stone is a small team with a combined experience of over 100 years. We offer expertise as well as competitive prices. We pride ourselves on delivering an exceptional level of service to our clients, choosing only the best materials and working with state of the art technology. Our friendly and knowledgeable team are on-hand to answer any queries and ensure that you are happy with the entire order process, right down to the final details and after-sales service. All natural stone is sealed during the manufacturing process and again on installation. We will advise our customers on the appropriate way to maintain their work surfaces. We welcome visitors at our showroom in Cranleigh throughout the week, where we have a wide range of samples available to view and take away. Just get in touch for a free, no obligation quote. We can also discuss options for your work surface, arrange templating, supply and fit at your convenience. As leading luxury stone specialists in London, we pride ourselves on creating and installing bespoke natural stone finishes for both interior & exterior projects. IvySpace was formed when, sourcing materials for our own property investments, we realised that achieving a luxury look is costly and very time consuming. It might be possible to find cheap alternatives but then the risk of compromising on quality is high and it typically comes with long lead times. Whether you’re looking for bespoke furniture that’s great quality and value, or beautiful and unique tiles and marble - we can help. IvySpace redefines sourcing of luxurious, affordable materials by going direct to the makers. We also offer a full fitting and installation service. We are passionate about property with great attention to detail, speed, and quality of customer service. Being property investors ourselves, we “feel” you! We don’t like to spend, we like to save. We are based in North West London and available to meet on an appointment basis so you can see materials and samples of our work. We look forward to meeting you! We specialise in Victorian floor tiles supplied in a sheeted format, a revolutionary and easy to install system. Our geometric schemes encompass the Victorian, Georgian and Edwardian periods, including a range of contemporary designs. With a comprehensive catalogue and a design consultancy service we are experts at providing tiled designs for domestic and commercial properties. Our unique tile sheeting service provides an easy solution to ensure complex Victorian floor tile designs are installed accurately and efficiently. UK's leading supplier of tiles and bathrooms for residential and commercial projects. We supply nationwide and provide 2D and 3D Cad drawings to help our clients visualise their final design. Our clients include developers, architects, interior designers as well as residential end users. Contact our team or visit our website and we will be delighted to offer a free design service and specify tile and bathroom products for your project. 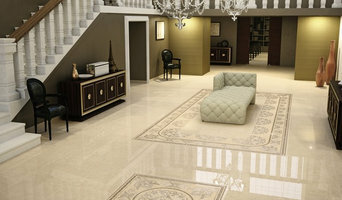 Terrazzo Tiles is dedicated to sourcing and producing the finest quality tiles and stone to suit any room of your home. Where our material comes from is incredibly important to us, and we research its story from prime material through design and production. From our showroom in Belsize Park (open Monday - Saturday), our friendly team are on hand to answer questions and guide you through various styles and bespoke options available to you. We are fascinated by the places that inspire our tiles and designs, from traditional hydraulic presses in Morocco, producing handmade Encaustic Cement tiles, through Italian and Spanish factories showcasing the most modern designs in porcelain and the latest techniques in Terrazzo production, to small kilns producing hand painted ceramic tiles right here in the UK. Our personalised service makes sure that you are able to achieve the best look to suit your space, with a huge selection of tiles and bespoke options available for selection at a competitive price point. Visit us today in showroom or contact us to tell us more of what you need so that we can provide advice. European Heritage is one of the UK's leading suppliers of high quality tiles & associated building products. We are renowned for our wide range of large format porcelain and expert advice. Our huge portfolio of innovative and stylish products offer endless combinations to match your creative ambition. We aim to provide our customers with the full spectrum of design solutions; from traditional to contemporary, opulent to minimalistic as well as endeavouring to procure the latest trends direct from our trusted suppliers around Europe. With over 25 years of experience in the business we bring a wealth of knowledge and expertise to the field. We have an in house designer, as well as an industry expert on hand to answer any technical questions applicable to your project. Our London based showroom exhibits our material with a cutting-edge wall display solution; you are no longer required to flick through countless tile stands with the hope of visualising your tile on a larger scale. The unique concept allows you, as a designer, a wonderful insight into the ultimate aesthetic of a tile once it is fixed. At TOPSCO we have a huge range of stylish kitchen worktops in granite, quartz and marble. We also have a large collection of worktop accessories and splashbacks in glass, granite and quartz. Whatever type of worktop you prefer, you’re sure to find something that suits your individual style and requirements with ease. You can browse our extensive range of worktop features to add the finishing touches to your new kitchen. Natural solid stone and granite gives a luxurious finish to your kitchen, full of character and warmth, perfect for that country look. Alternatively, quartz composite worktops bridge the gap between wood and granite delivering a long lasting, durable work surface. Maitland & Poate is a family-run business. Driven by a passion for stunning tiles and interiors, we travelled the sunny region of Andalucia in Southern Spain – Sevilla to Cadiz to San Ferdnando, accompanied by our very young children. We were determined to find the best suppliers of the highest quality reclaimed antique tiles. Our love for old tiles lead us to into another area, new and beautifully designed encaustic cement tiles, handmade using the original techniques from Valencia and Cordoba. We have a specialist team versed in the preparation, laying and finishing of our tiles. Our friendly team offer an onsite visit to assess the requirements of your job and will see the installation process through to a perfectly laid encaustic tile. Another interior aspect was inspired by the plastered, textured finishes you find more commonly across Europe. Our Lime Paints come in beautiful soft and neutral ranges. The finish is both textured and deep adding warmth and character to a room. The paints are eco friendly and far healthier to live with than oil or emulsion paints. SPC was founded in 1992 and have quickly become a leading luxury stone specialist in London. Since inception we have focused on the top end residential market and can count many prominent Interior Designers, Architects and Property Developers within our portfolio. We are also a long standing member of the Stone Federation the official trade association for the natural stone industry. Our stone and marble showroom in Battersea is situated at St John's Hill Battersea and is a 8 minute walk from Clapham Junction station. The showroom stocks a range of Stone and Marble finishes on site and some examples of stone and marble used on kitchen surfaces in our showroom. We are a stone specialist. We template, manufacture and installation cladding, worktops and tiling. Domus showcases new and contemporary surface design products in a fresh and stimulating environment. Offering a wide range of design-led tiles, mosaics, natural stone and engineered oak from some of the world’s best manufacturers, Domus has become a destination for interior professionals and private clients within London. With a broad and exclusive product portfolio, Domus has two large showrooms in Clerkenwell and W1 plus a boutique showroom in Battersea, South London, where every product available is hand-picked for its superior visual or technical quality. Domus staff across their showrooms are all highly trained to offer specialist expert advice, making the creative selection process as enjoyable and straightforward as possible. Clients who visit the showrooms are encouraged to experiment with different surface solutions and select options from the wide samples collection which consist of over 3,000 colours, textures and finishes. Product collections are displayed in carefully lit room sets, on wall panel displays and on large pull out panels so customers can effortlessly explore the variation and fine detail of the material, and be truly confident of their final selection. Domus’ role is to deliver a successful outcome for any design project, both in the UK and internationally. As a company it prides itself on its many years of experience across its specialist teams, and Domus’ passion for great design means customers will always get to see what is fresh and new from the surface design industry. With the best of new product design combined with specialist staff knowledge, customers will see their ideas and concepts develop into crafted, individual and bespoke design schemes that will not only look outstanding but will always perform to the very highest standards. Tiles and worktops are pretty essential in the modern home. Without them, keeping your kitchen or bathroom clean would be a lot more hassle and work, so it’s no wonder that they are one of the first things we install in a new home or redesign. Since worktops, wall tiles and floor tiles are so essential to many areas of the house, and often act as the backbone to the rest of your designs, it’s therefore so important to get them right, which is where Mitcham, Greater London tilers and worktop installers come in. 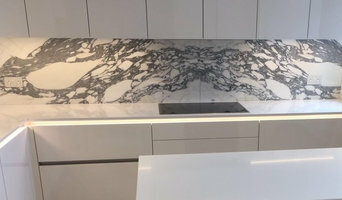 Worktop installers and tilers in Mitcham, Greater London can advise on the best tiles and materials to use based on your tastes and requirements and then will be able to install them to a high finish in your home. Kitchen worktops are a major part of your kitchen – you need surfaces that will be scratch and heat resistant, but at the same time still look attractive and work in harmony with your kitchen units, splashback and other kitchen elements. 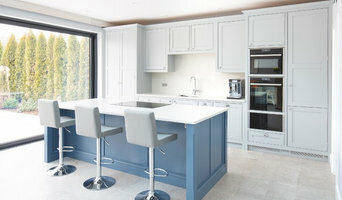 A worktop manufacturer and installer will be able to fit new kitchen worktops or replace old ones with ease, helping you to pick out the best kitchen worktops for your home first. Tiles are so versatile that they can be used in kitchen splashbacks, floors, bathroom walls and as decorative designs elsewhere in the house. Tile manufacturers and tilers in Mitcham, Greater London will have a great range of tile designs, sizes and materials to choose from and will help you to pick the best tile for the job. Laying tiles may look easy sometimes, but one badly laid tile can ruin a whole floor or wall, so it’s really best to leave it to a skilled tiler. With Houzz you can find Mitcham, Greater London tilers, tile manufacturers and worktop installers near you and check their previous projects, reviews and ratings to decide if they’re a good fit for your home design project. Why should I hire worktop installers or tilers in Mitcham, Greater London? Perfectly laid tiles and worktops can look simple and seamless once finished, but installing them is far harder than it looks. It really pays off to hire a Mitcham, Greater London tiler or worktops professional as they will have the experience and expertise to finish the job efficiently, quickly and to a high quality. From metro bathroom tiles and porcelain tiling, to kitchen worktops, splashbacks and travertine floor tiles, there will be a tiler or worktop professional who can install the surface you need for your bathroom or kitchen design. There will even be tile and worktop repairers to help you if you need a quick fix-up to your surfaces. Tile manufacturers, worktop professionals, and often tilers in Mitcham, Greater London themselves, will also be able to advise you on the right materials to use if you’re not decided on one particular type. They can tell you the advantages of the different flooring, wall tiles and kitchen worktops so you can make the right decision for your home. If you’re after a bespoke tile pattern, mosaic or mural created and laid in your house, this will also be possible with Houzz as we list such a wide range of tile manufacturers, worktop professionals and tilers in Mitcham, Greater London. It could be the case that you can find a design or construction company that can offer tiling and worktops as part of their work, whilst also undertaking other projects for your house redesign, so it’s worth looking out for these professionals, too. Here are some related professionals and vendors to complement the work of tiles, stone & worktops: Interior Designers, Architects & Building Designers, Main Contractors, Kitchen & Bathroom Designers, Design & Build. 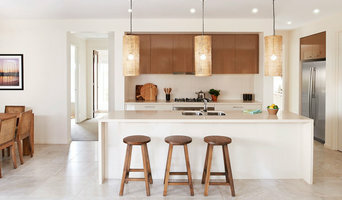 Find a tiler or worktops professional on Houzz. Narrow your search in the Professionals section of the website to Mitcham, Greater London tilers and worktop installers. You can also look through Mitcham, Greater London photos to find projects you like, then contact the contractors or tilers in Mitcham, Greater London who worked on the tiling work or kitchen worktops.